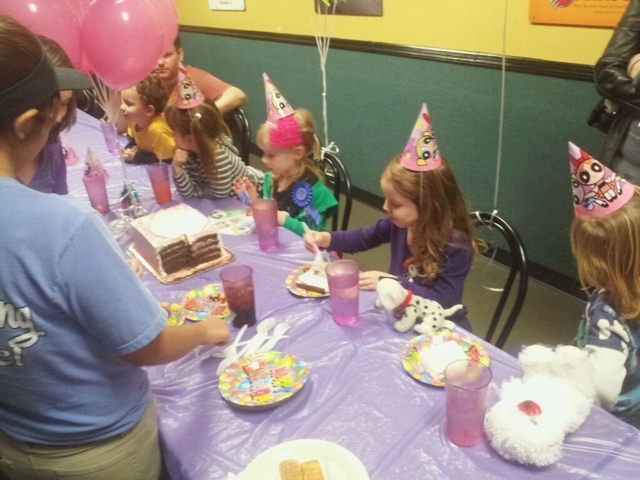 We had not planned on having a birthday party for Alice this year since we were taking her to Disney for her birthday. However, Alice really wanted to have a party with her school friends. 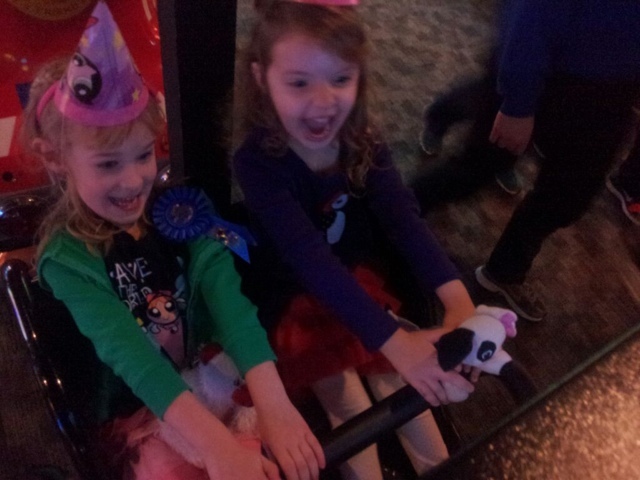 I had received a free birthday party for 10 from a friend of mine who won it at work function so this year's party was at GattiTown. We went back and forth on the theme for the party this year. iCarly.....Scooby Doo....and finally landed on PowerPuff Girls. Alice had fun playing with her friends and introducing them to the Powerpuff Girls. 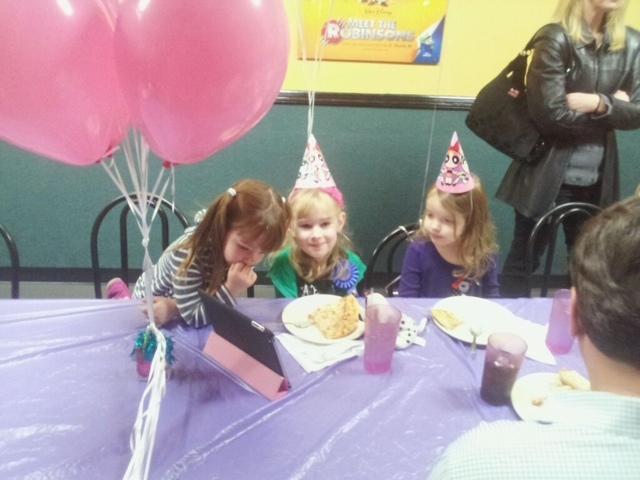 Alice has said she wants her party next year at GattiTown, so I guess the party was a success!